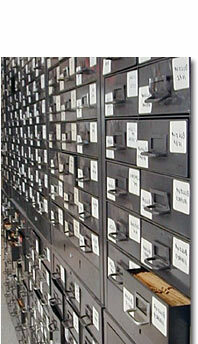 Universal houses one of the largest inventories of spare parts for modern, vintage & specialty watches, in the world. movements, gears, hands, crystals and various accessories; lines the walls of Universal's 5,000 square foot workshop. Repair facilities and watch manufacturers from around the world look to Universal to service their timepieces because of Universal's immense inventory of spare components. Universal's customers know that their watches will be repaired within days because the parts needed for the repair and restoration of their various timepieces, are located on premise at Universal.